This was my third week away from my family. 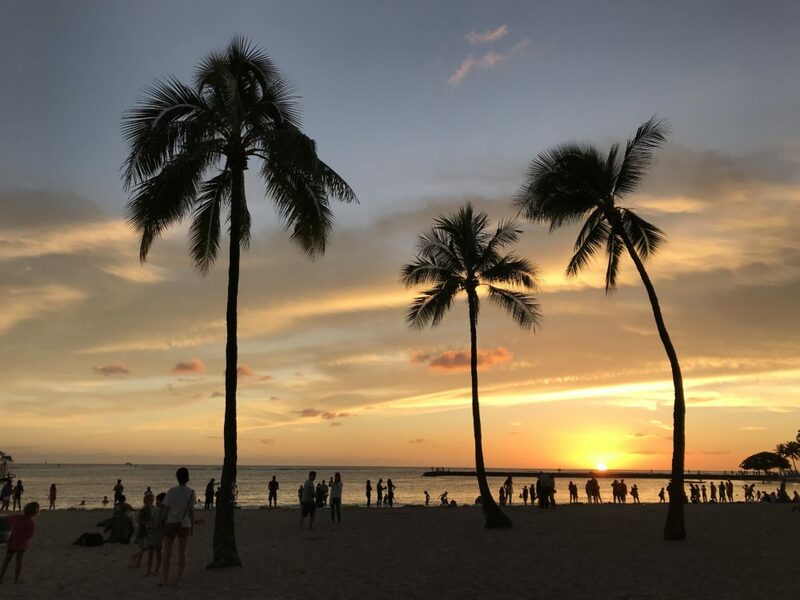 I know that this is a professional learning reflective blog, but what I have learned is, 3 weeks away from my family and home is a long time for me. Yet, 2 weeks is too short. I need to find a sweet spot between 2 to 3 weeks to reconnect with my family and my sense of place. Above is a photo from one of my favourite spots on the Sunshine Coast. It’s a beach at Davis Bay by Mission Point. 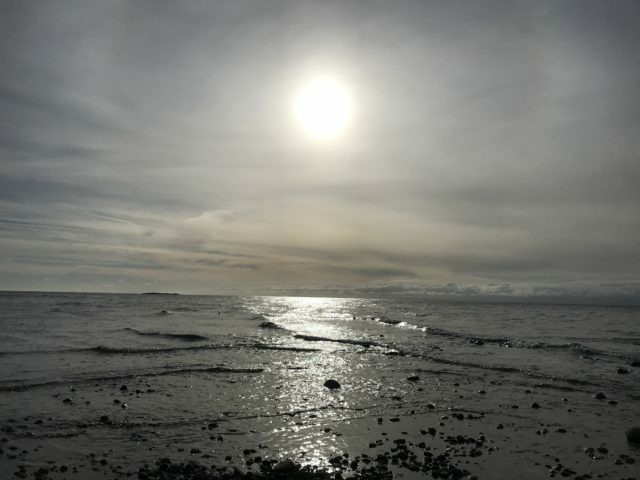 I love going there because I feel connected to the land and water. If you notice, the water comes from two directions. I love the hear the sound of the water. I feel very lucky to live here with my family, but I also live in the Central Interior, which is covered in snow. My “commute” from the Sunshine Coast to the north makes me appreciate the importance of “people, place, and land”… a theme that we are developing at the School of Education. All three aspects play a role of who I am… my identity… what I value… and what I have become accustomed to. I am able to notice “the little things” on the Sunshine Coast and appreciate them. 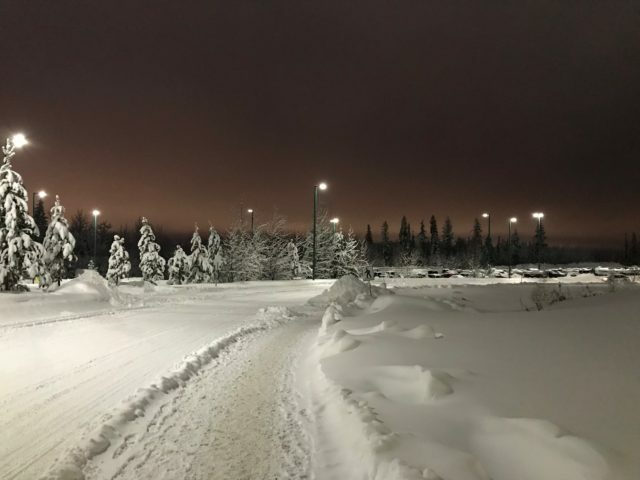 I can see the beauty in both the Sunshine Coast and Prince George such that I am gaining a deeper understanding of the importance of people, place, and land. 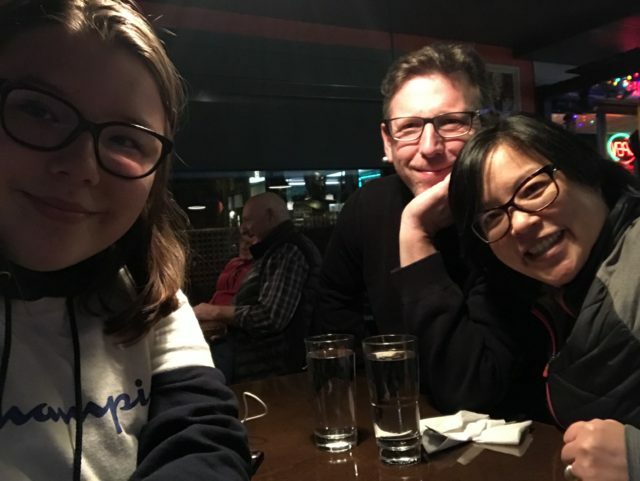 This weekend I needed to leave Prince George to connect with BC educators at #EdCampBCCC and #BCEdChat Live Event in Richmond, see my dad and brother in Burnaby, and reunite with my little family on the Sunshine Coast. Seeing these people at these places… on the land… coastal to be exact… FILLED MY CUP. Even though it was a quick 3 day trip, I needed this. I feel grounded and ready for the next 2-3 weeks. I spent the weekend working on organizing my week to carve out time to read and write. That’s my One Word for 2019: WRITE. 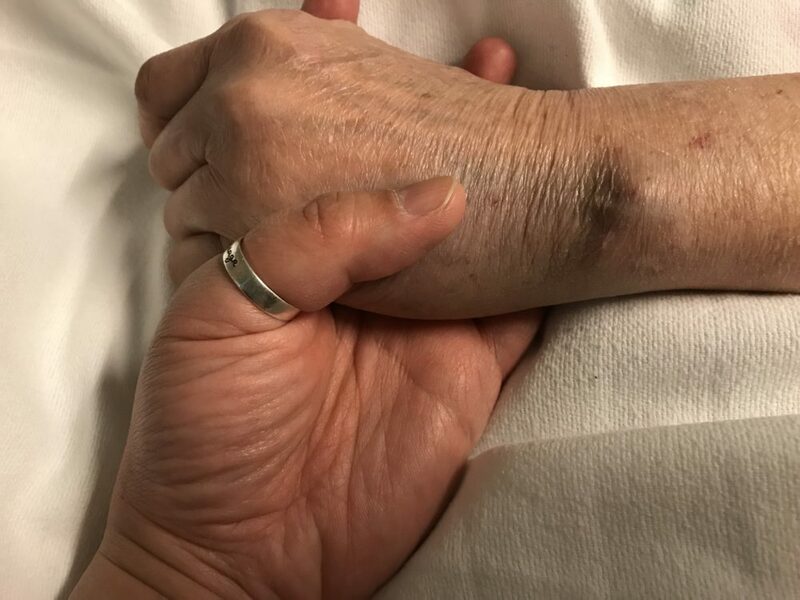 I want to write a book about my mom’s last 20 days… and her anniversary is coming up… I want to write about Communicating Student Learning… and I would like to write about educational leadership and phenomena experienced by educators in the field. I have a few topics I am interested in. To get writing, I’ve got to be reading and researching. 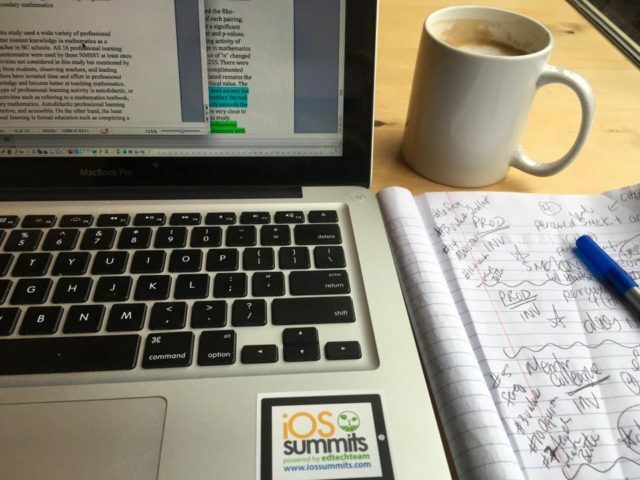 Of course blogging contributes to my One Word, but I need to take my writing to the next step… from reflection to academia. I am learning what it means to be an academic and publishing is “the currency” of my career. 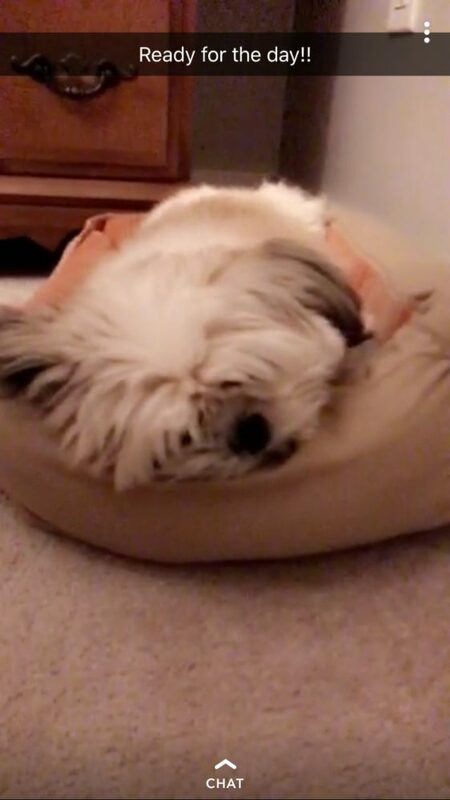 This was the first full week back to school… and I’m pooped. I’m sure this a shared story by other educators returning back to school. Teaching and learning is not easy work, but damn… it’s incredibly rewarding. Did I get to the reading and writing I wanted to do this week? NOPE. I spent the week prepping for my classes, going to meetings, and reviewing unit plans for practicum. I’m doing my job. By Thursday, I opted to get a full night’s sleep and it was back to reviewing unit plans on Friday night. Now it’s the weekend. The message I’ve been sending to my EDUC 342 classes is, you are the locus of control… you create what you want to see. Although I had an amazing week… all it takes is one thank you… I need to self-regulate my time to get to my One Word. It starts here… WRITE. 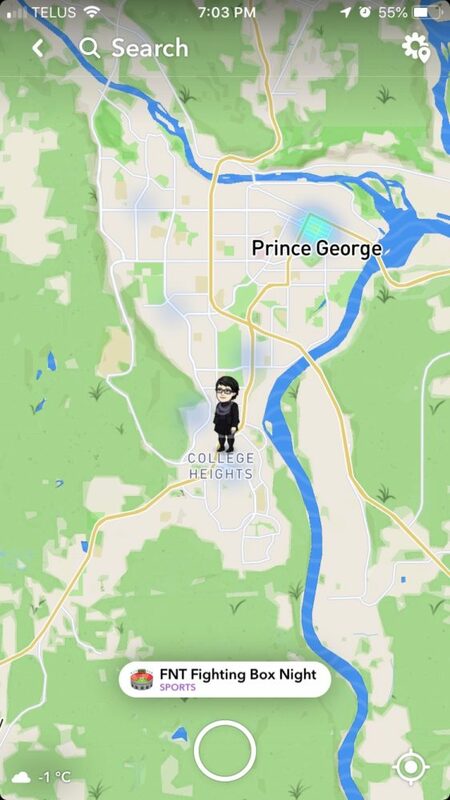 I flew back to Prince George from the Sunshine Coast/Vancouver on January 1st. Happy New Year!!! 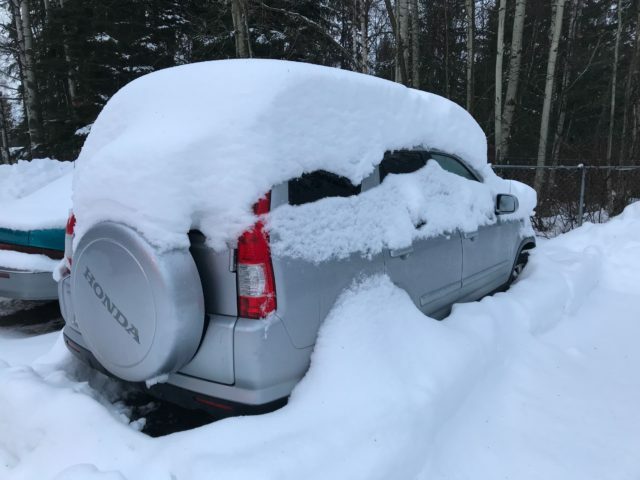 I was back on campus on January 2nd and spent a solid hour shovelling snow off my car. I’ve never done that before. Welcome to my learning. As much as I enjoyed my holidays to Vegas with my family and time at home on the Sunshine Coast with my little family, there was much work to do (aside from shovelling snow) at the university to prepare our second year teacher candidates for final practicum and course design for our first year teacher candidates. It was a cramming opportunity. It was an incredible 2-days of unit planning with our Year 2 students and an awesome start with the Year 1 students. What I am grateful for and impressed with are my colleagues who were willing to come to campus to support our students and support me in my work to support our students. I love being a part of a TEAM… a winning team. It was a great start to the new year. January 2018: This was an excellent way to start the year. I presented my dissertation as a poster at the Hawaii International Conference on Education (HICE) in Honolulu. I also presented a paper on behalf of Dr. Daniel Laitsch and presented our paper on BC School Trustees and their use of research and information for decision making. 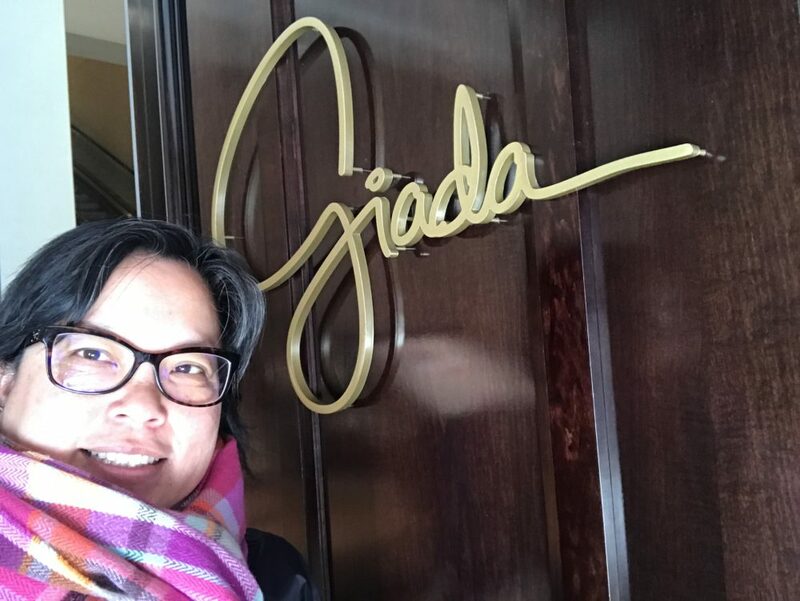 February 2018: I wasn’t working… and very thankful. Karma has a funny way of working and I had the time to take care of my mom full-time. My mom was not well for months (if not years). We reached a moment where we went to emergency and within 20 days she passed away from cancer in the liver. I was grateful to have this time with her. April 2018: A TSN Turning Point in my School Trustee career. 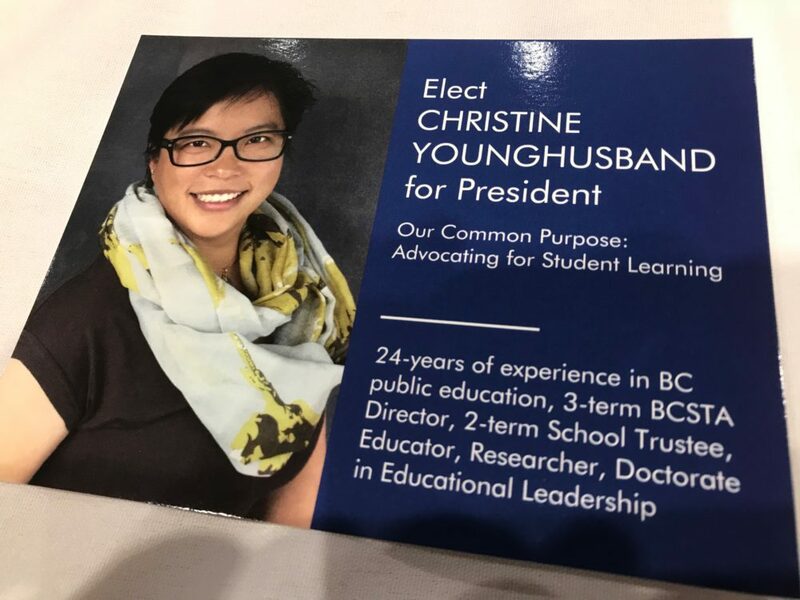 It was an “all or none” situation for me and I ran for President of the BCSTA… and lost. No loss though. I learned a lot during that AGM conference weekend and seized the opportunity to say what wanted to say about public education, educational leadership, and school boards in my speech. May 2018: Decided to change my trajectory and opted to walk away from organizations that I was involved with to pursue another direction in education. I was unexpectedly nominated as the VOLUNTEER OF THE YEAR at the Sunshine Coast Community Futures. Serving on the Board of Directors as director for 5-years was very rewarding. 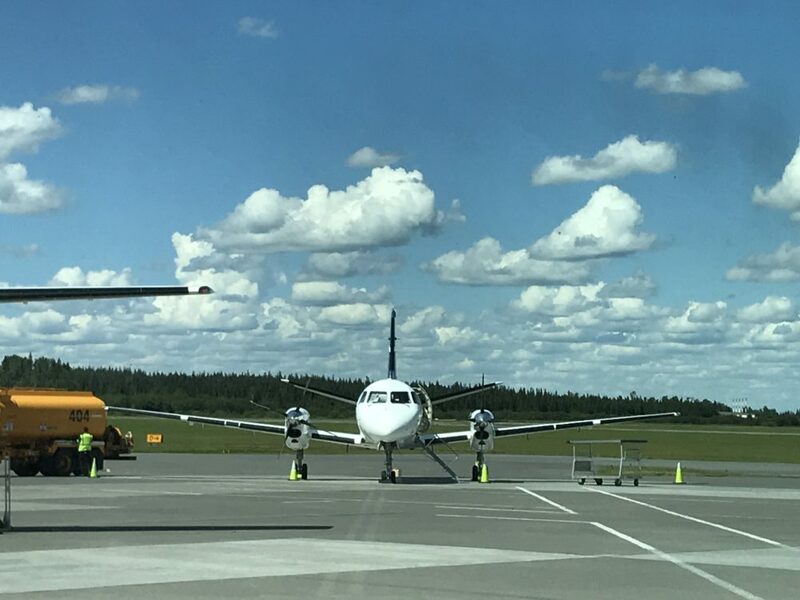 July 2018: Flew up to Prince George for an interview at the University of Northern British Columbia (UNBC). It was an amazing experience. It felt right from the beginning. I had an other interview a few days after this one. It wasn’t good and didn’t feel good. I got the position at UNBC (and not the other). A one-year, full-time contract here I come. August 2018: I taught an amazing course during the summer. What I hoped to achieve in this course was to design and facilitate student led learning that was competency based, which used current content knowledge. I was so proud of what this group accomplished. It could have been better, but it was my WORST COURSE REVEW EVER. 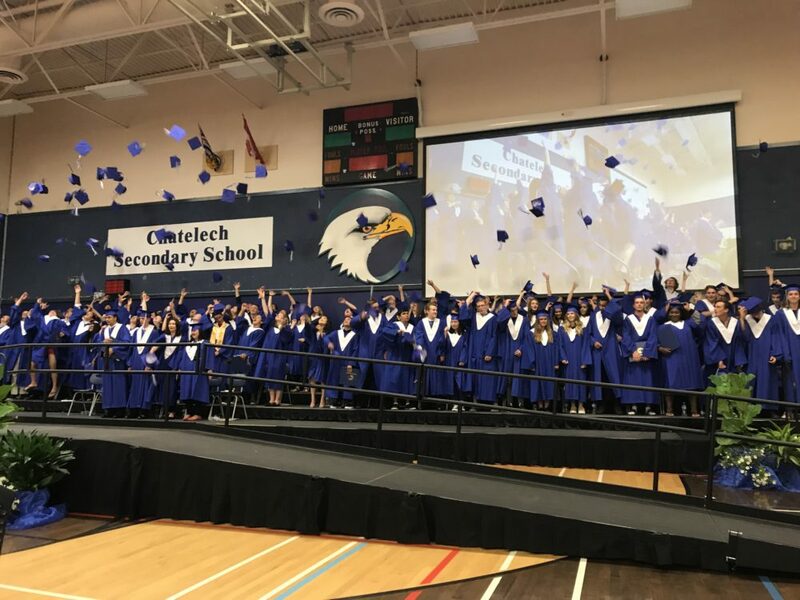 September 2018: I moved to Prince George and started teaching in the Teacher Education Program at UNBC. I taught a secondary Year 1 cohort, an elementary Year 2 cohort, and a research methods class. The learning curve is huge and rewarding. Love the people I’ve met and continue to meet within the School of Education and Prince George. 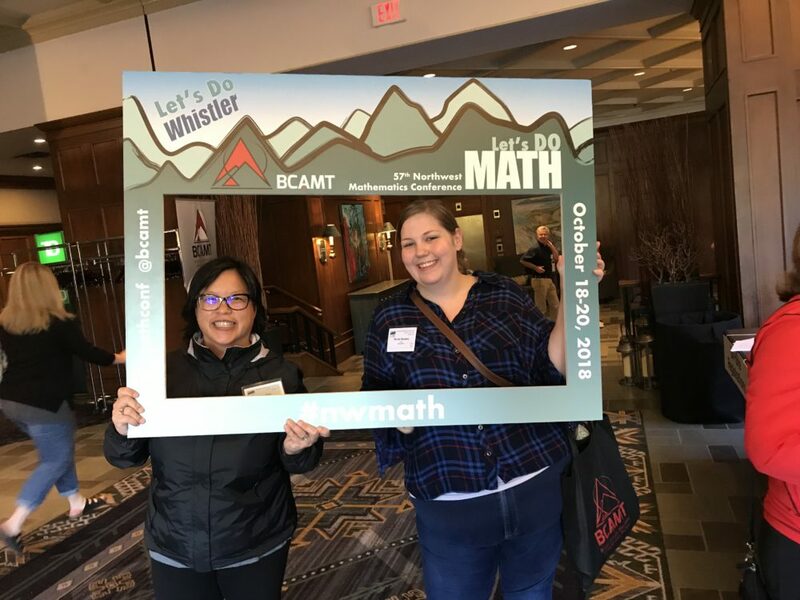 October 2018: Presented at the Northwest Math Conference in Whistler. I loved reconnecting with fellow math educators and meeting new ones. I presented on my teaching and learning experience from a couple summers ago on Quantitative Approaches to Environmental Education. I had about 200 attendees and positive reviews. Reassuring. 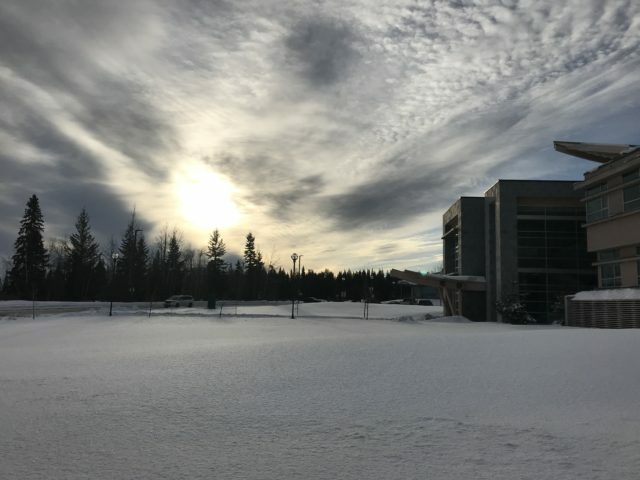 November 2018: The fall term ends at UNBC School of Education with the inaugural EDUCATION FAIR 2018. 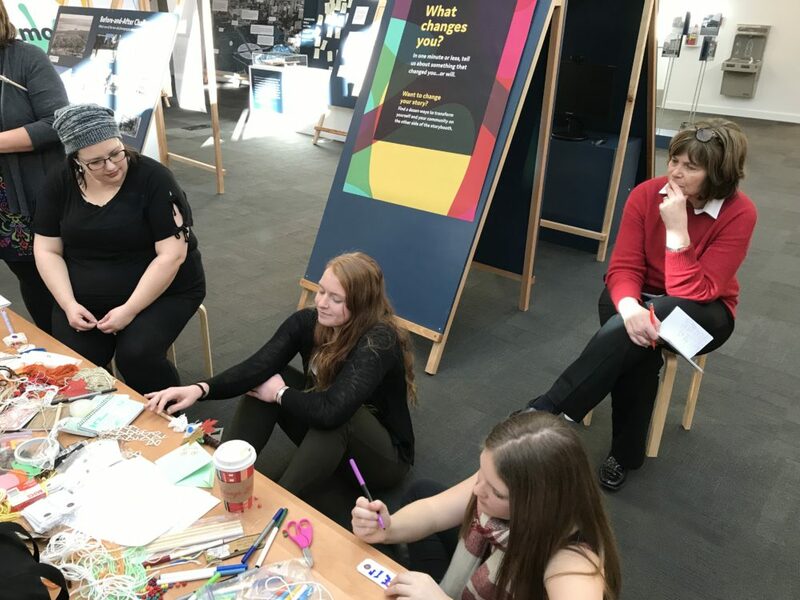 Students from all 4 cohorts volunteered and demonstrated their term’s learning to fellow classmates, university instructors, local educators, and the public. I was proud that half a dozen of my students presented their IGNITE presentations. December 2018: I feel very lucky to be mentored by and to work with Deb Kohen at UNBC. She invited me to partake in a collaborative event with Vancouver Island University’s (VIU) Dr. Paige Fisher and the Ministry of Education. 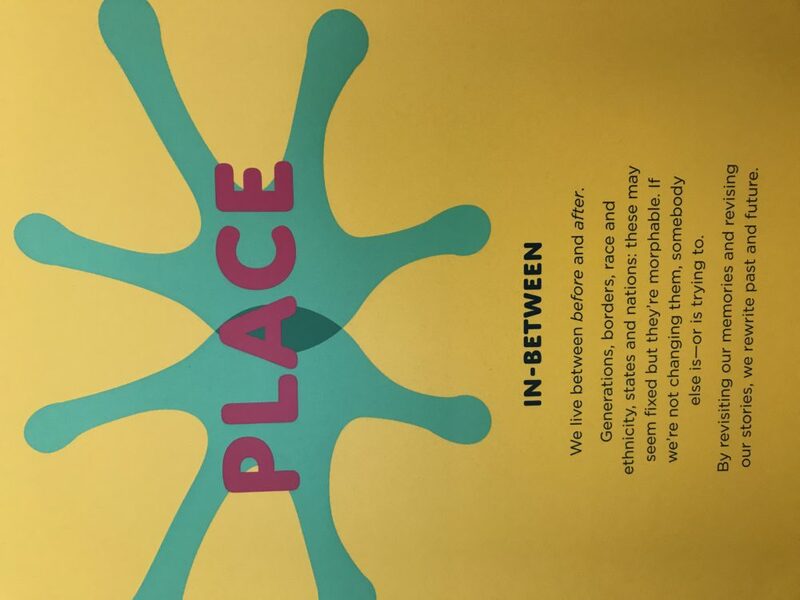 Together with other instructors and teacher candidates from each university, we went to the Vancouver Public Library to collectively learn more about Place Based Education in Teacher Education. It’s been an amazing year. I am so happy to have the people in my life who help me rise. HAPPY NEW YEAR. Looking forward to 2019. This is my first week at the university without classes in session. It’s exam week. My undergraduate students handed in their assignments at the end of last week and my graduate students are finishing up their papers to be handed in next week. I am “happy” to have scheduled my plane ticket back home for December 15th instead of December 1st. There is still much to do. I had the pleasure of collaborating with colleagues to develop comprehensive exam questions a few weeks ago and invigilated part of the comprehensive exam period last weekend. This week was spent reading these papers, marking assignments, and finalizing grades for this term. This week concluded by heading out to Vancouver with another colleague and half-a dozen students from our elementary year-one program to collaborate with faculty and teacher candidates from another small university to learn more about place-based learning “outside” of the classroom. One theme that resonated for me throughout this week was MENTORSHIP. 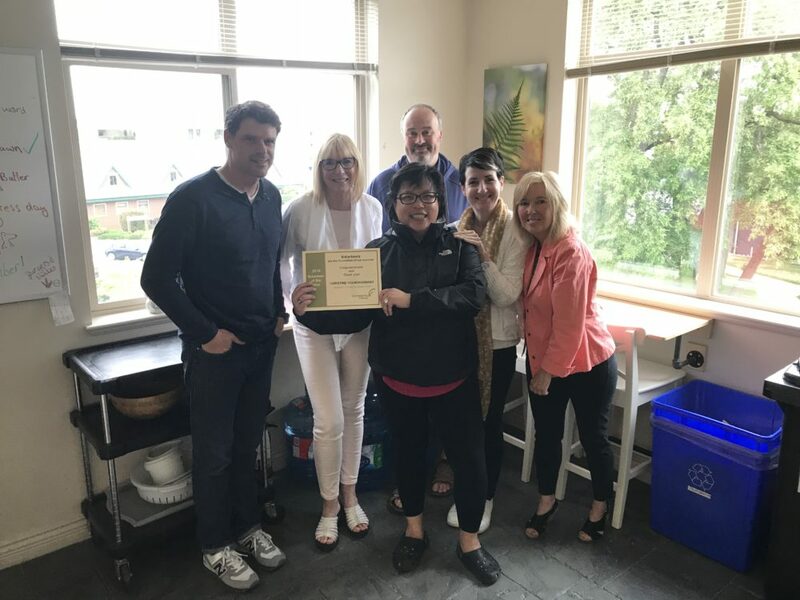 I don’t think that I could have managed and operated throughout my first term at the university without the support, collegiality, and expertise from my colleagues and co-workers. The learning curve was HUGE to say the least. Not only am I learning about and creating the syllabi of my courses, I am also learning about the culture of the department and university, learning about the program and policies that guide decision-making, and learning about my place at the university and what role play in enhancing the learning experiences of students at the university in addition to my learning and contribution. It’s ironic that I’m writing about MENTORING now when WordPress has just changed or updated their platform and I’m trying to figure out to upload, rotate, and position photos into this weekly blog of learning. Truth… I have not figured it out yet. A little mentorship or guidance would be greatly appreciated right now but I’m letting that go. 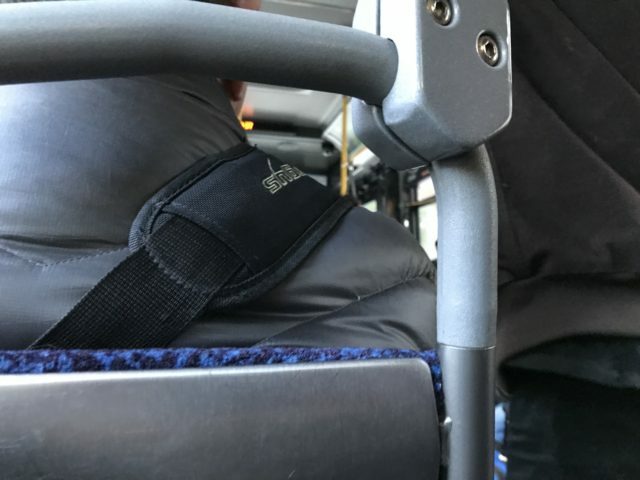 So, deepest apologies for the oddly positioned, unrotated photos in this blog. THANK GOODNESS FOR MENTORS. I am reminded of my dissertation. MENTORING was one of the “professional learning activities” that helped Non-Mathematics Subject Specialist Teachers (NMSST) gain subject matter content knowledge in mathematics to teach secondary mathematics. However, my study did not investigate to what extent mentorship helped these teachers, which lends itself to future research. In my dissertation, very few teachers participated in “formal mentoring” but were supported by mentors informally. I can understand this. The strength of “the floor” at the university is MENTORSHIP. As I had the pleasure, time, and opportunity to reflect on my teaching and learning experience this term this week, I feel so grateful for the people who are my mentors. Not one relationship is a “formal mentorship” such that one person was assigned to me to help me immerse into the university and my position (like the mentor I had in my first year of teaching in K-12 schools). I have many informal mentors. I am mentored by those who have expertise and experience in the teacher education program, the school district, and graduate studies. I have many mentors on “the floor” and off the floor. I am also connected to those who work in other universities, K-12 schools, and other edu-organizations. It’s been amazing. My mentors either help me with the day-to-day activity of “the floor,” provide information that I need, stoke my cognitive fire, say hello, or provide encouraging words. From a slow start to the term to a huge learning curve, it is now approaching a pleasant equilibrium. 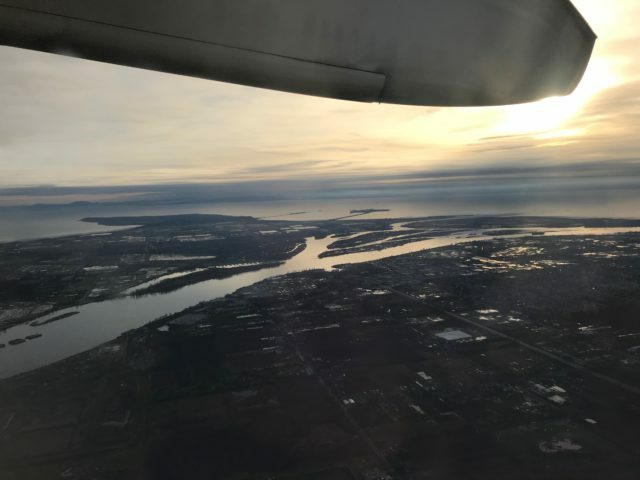 This week ended with a quick trip to Vancouver with a colleague (who invited me) and a half dozen of our Elementary Year 1 Teacher Candidates. We met up with other education faculty and teacher candidates from another university at the Vancouver Library to learn about PLACE BASED LEARNING and how this would fit into teacher education programs. 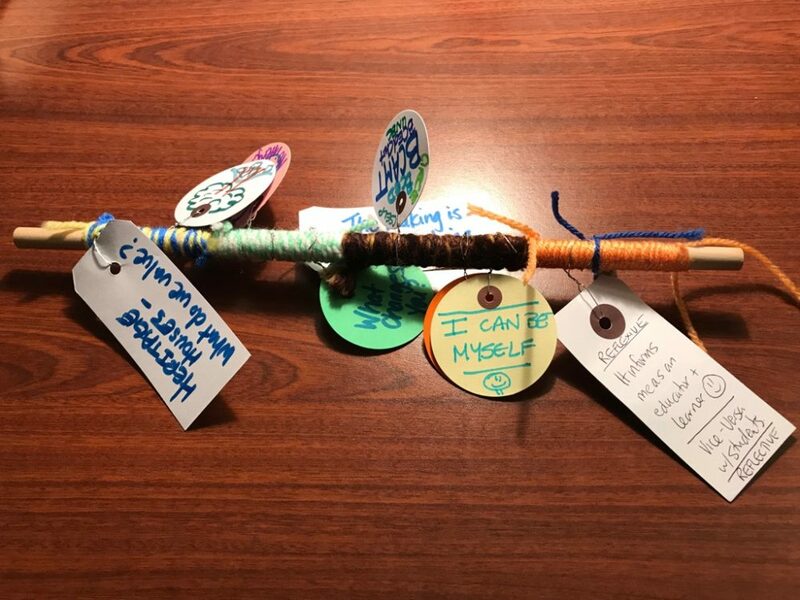 In collaboration with the BC Ministry of Education, Deb Kohen and Paige Fisher orchestrated this learning opportunity on the 8th floor to consider SELF, COMMUNITY, and PLACE. Our learning was recorded on a “learning stick” (see below) but also on camera to compose a 3 minute video for the Ministry. I was asked to be recorded, but declined. We live between before and after… by revisiting our memories and revising our stories, we rewrite the past and future. Ending my week with in Vancouver at the Vancouver Public Library with university faculty and elementary teacher candidates, I learned more about mySELF, my COMMUNITY, and my sense of PLACE. At one moment during the learning activity, I felt like I was meant to be here. Serendipity strikes again. 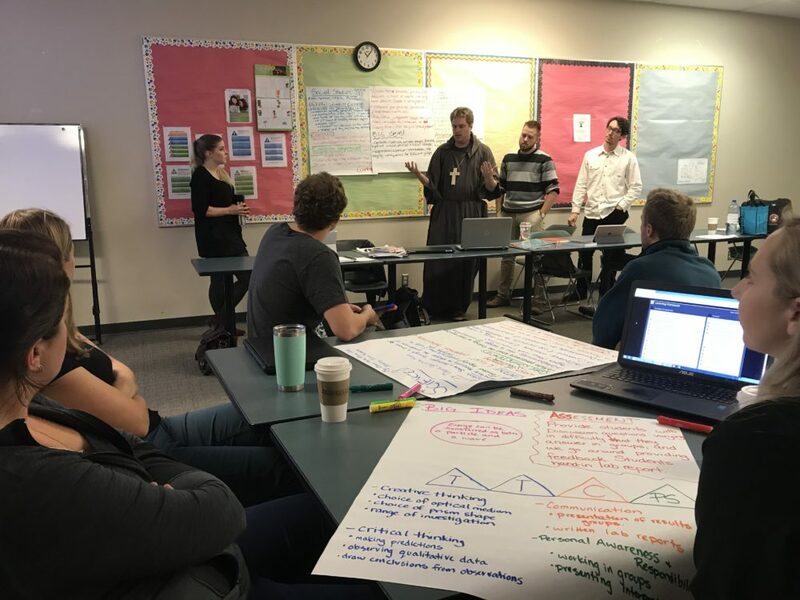 The teacher candidates who attended this event were outstanding and shared their learning experiences with the group and provided insight to faculty on how to embed place-based learning into education. I met education faculty from the other university who are IN MY TRIBE. It was mind-blowing. 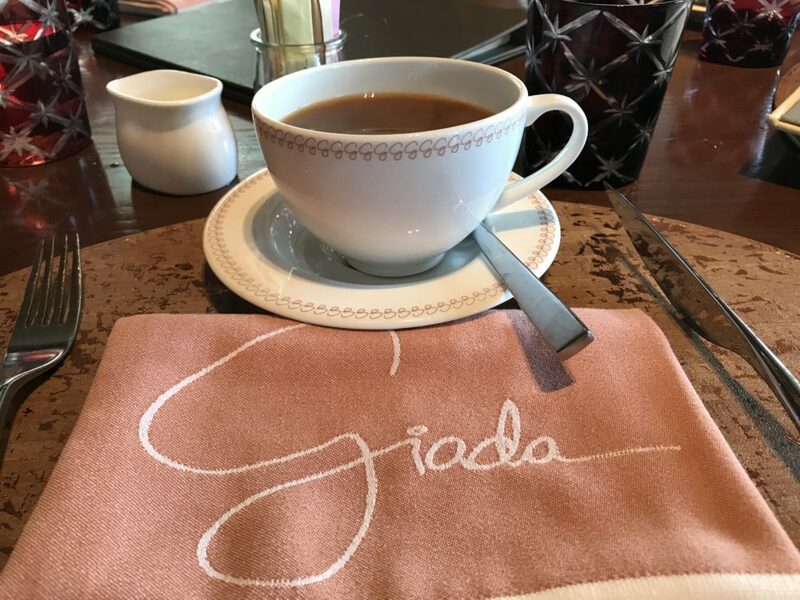 From being a complete stranger to being a kindred spirit, I realized that we shared similar interests, experiences, and membership to organizations. This learning experience with teacher candidate and education faculty changed my sense of self, community, and place. Thank you to all those who serve as a mentor to me. I has helped me and continues to help me to transform from a school trustee, graduate student, and mathematics tutor to an assistant professor, teacher educator, and educational researcher. I have met some incredible people and every experience and conversation are shaping who I am. I cannot believe that the fall term has ended. Last classes at UNBC were on Friday, November 30th and we celebrated student learning at the UNBC School of Education with EDU FAIR 2018. This is a new event and hopefully a new tradition at the UNBC School of Education. It’s an opportunity for students to demonstrate and share their learning to the public and peer, but also celebrate what they have accomplished. Best of all, it coincided with SD57’s (Prince George) Professional Development Day. So teachers, school principals, and senior administration were also welcome to attend… and they did. EVERYONE WAS WELCOME. Student participation and contribution were voluntary. For our first EDU FAIR at UNBC’s School of Education history (as far as I know), the end of term event was successful. I was proud of my EDUC 360 who volunteered to present their IGNITE presentations for EDU FAIR 2018 to represent the Secondary Year 1 Cohort. 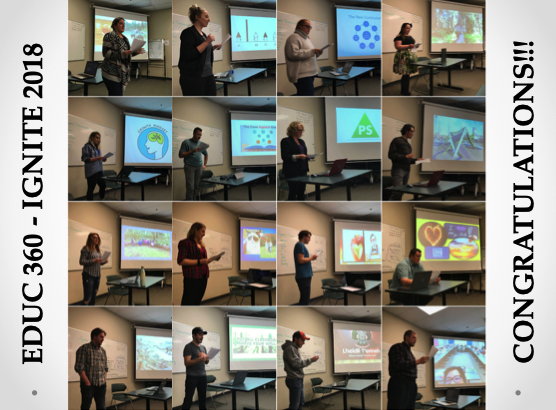 Here’s a collage of my EDUC 360 students sharing and demonstrating their learning to their classmates in our class this week to conclude our course this term. I was so amazed by the quality of their presentations and the effort they took to make a comprehensive 5-minute presentation. 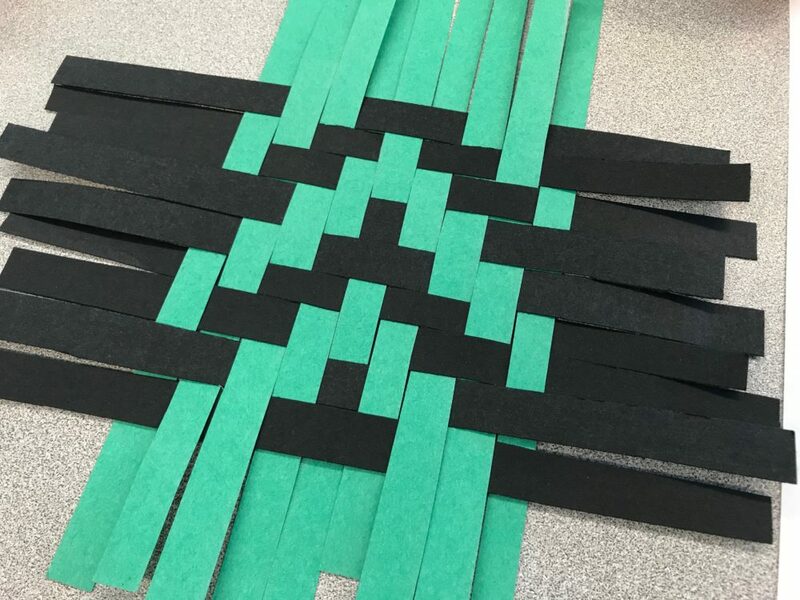 They were able to connect “who they are” to “who they want to be” as educators. 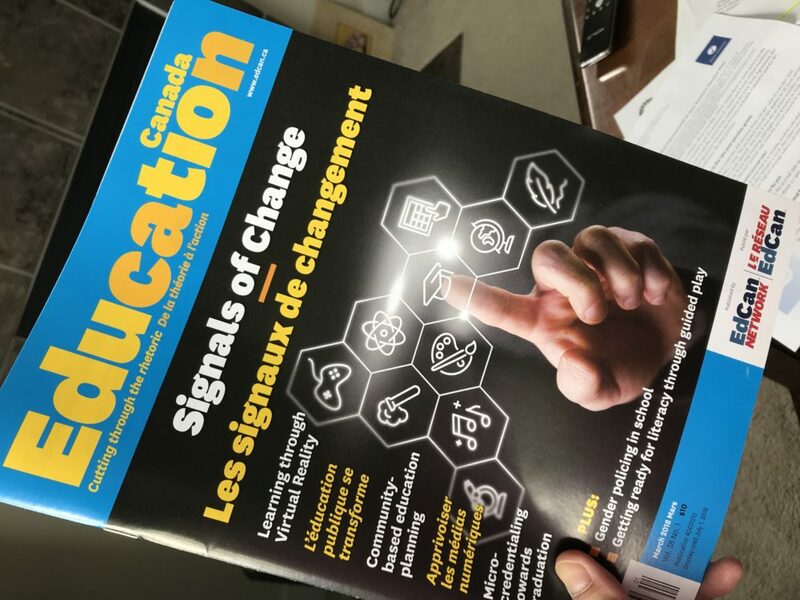 Many had highlighted place-based learning, formative assessment, personalized learning, growth mindset, competency-based learning, problem based learning, case against grades, 21st Century Learning, the power of geek, the heart of a teacher, and yes… BC’s New Curriculum. We landed on two-feet. A great first term with this cohort. Transformation was visible and I look forward to teaching them next term. I did end up doing an IGNITE presentation for EDU FAIR. I had a moment where I didn’t have to do an IGNITE, but it was also an opportunity to share my transformation as an educator working with this cohort, which is connect to who I am and who I want to be. I have spared the blog reader from posting my IGNITE presentation, but I am super pleased with how this cohort is moving forward and I have the pleasure of teaching all 4 cohorts next term with course work and practicum. This will be a new experience for me… to continue teaching and learning with teacher candidates beyond one term. It’s a gift and I’m looking forward to it. 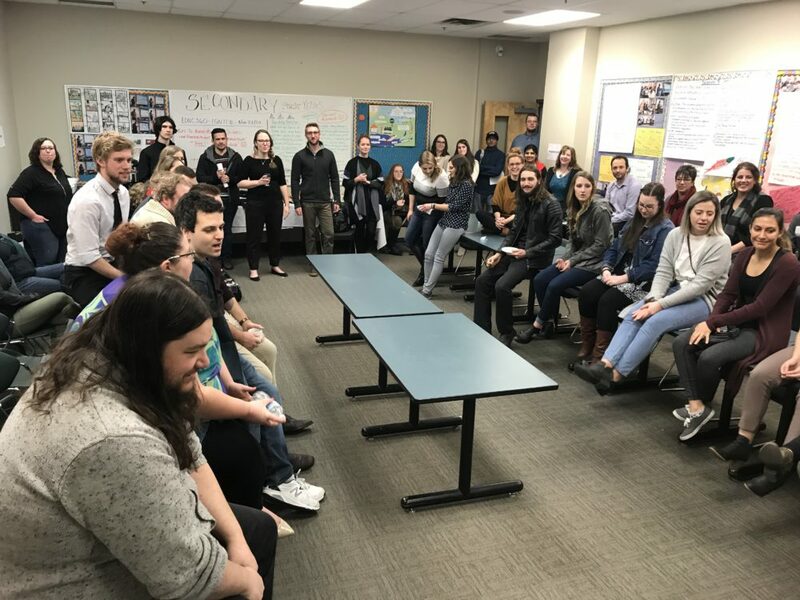 Thank you UNBC School of Education faculty, teacher candidates, coaching teachers, practicum mentors, school district staff, UNBC support staff, and the community for supporting our amazing teacher candidates at UNBC. In this new chapter of my pedagogical journey, I am realizing that THE GRASS IS GREEN. What do I mean by that? As crazy as things may seem OR as stressful as people may feel… THINGS ARE GOOD. I am very happy how my classes are ending this term. We had some rough moments, but I am content with our progress. I am collaborating with my colleagues and enjoying every minute of it. The conversations are exceptional and I love our resilience and determination to move forward. Finally, I can be myself in my workplace. There’s no to pretend. I feel authentic. I am making connections with those at the university, in school districts, on Twitter/Google Hangout, and other edu-communities. I love what I am learning, who I am working, and the direction we are heading in. THERE IS NO PERFECT and in fact, that’s not what I’m aiming for. I am aiming for excellence and the goods internal to the practice. I have solace knowing that my edu-experience is not unique, but a shared experience. We have good people wanting to do good things… and that’s all I can ask for.